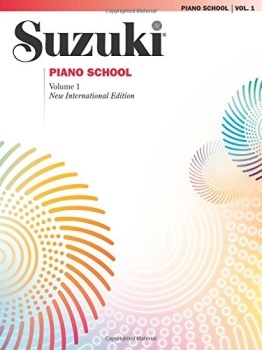 The New International Edition of Suzuki Piano School, Volume 1 includes French, German and Spanish translations as well as a newly recorded CD performed by internationally renowned recording artist Seizo Azuma. Now the book and CD can be purchased together or separately. While the music selections in Volume 1 remain the same as the earlier edition, the spacious new engraving with minimal editing generally keeps only one piece per page. Instruction material in many pieces from Volume 1 has been removed in lieu of right-hand studies at the top of the page and left-hand studies at the bottom. Tempo markings are now included on many pieces.